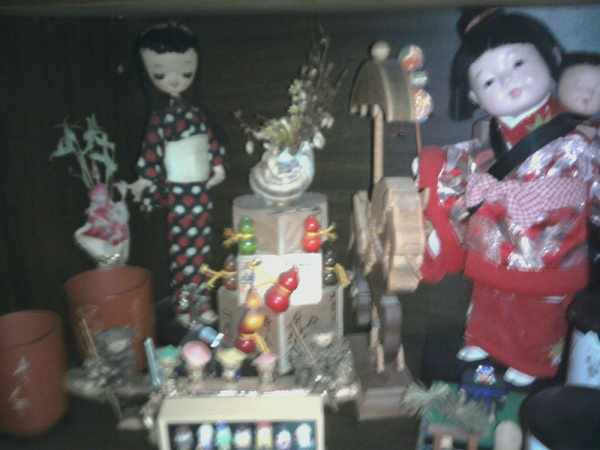 There are many people that collect Japanese items. 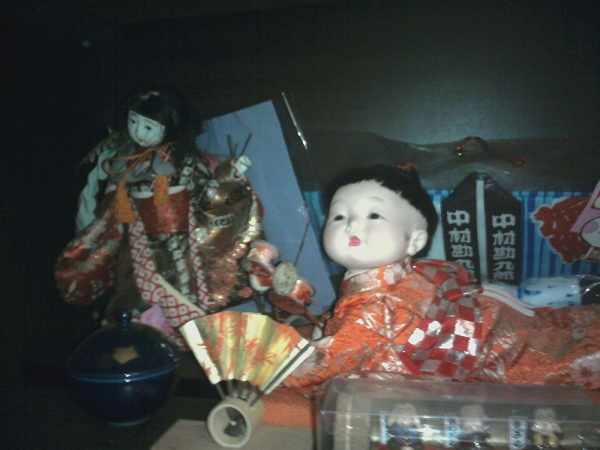 I don't collect them per se, however I have many Japanese items that people would find collectible but mine are family heirlooms. I don't know a ton about them but can give you a little background but not much and I'm posting pictures of some of them here because they are nice to look at. My mom was born and raised in Tokyo Japan, and went back often to see family and friends there. She lived there until the 1950's when she met my dad who was in the Air Force during the Korean War and stationed in Japan. They fell in love and got married in Japan in a traditional wedding for Japan, and then got married when they moved here to the United States, so it was always funny to me that they celebrated two wedding anniversaries. So they moved here, my mom was big time Americanized, worked in a manufacturing plant, became an American Citizen, I still remember her taking her citizenship class, took religion classes and got baptized and all of that too. She bowled in a women's bowling league, and when retired from her job became a Bingo Addict lol. She knew all the swear words in English, traveled tons, loved Las Vegas, but New York City was her favorite because it reminded her of her hometown Tokyo Japan. But she always hung on to her Japanese roots, she made a lot of Japanese food, drank Japanese tea, bought Japanese magazines to read, and had a nice sized group of Japanese women who were her friends and they always got together to play Japanese cards, speak Japanese and eat Japanese food. Wow the food was yummy. Anyways mom had a lot of Japanese items but I didn't know how much until it came time to clean out her house when she passed away. 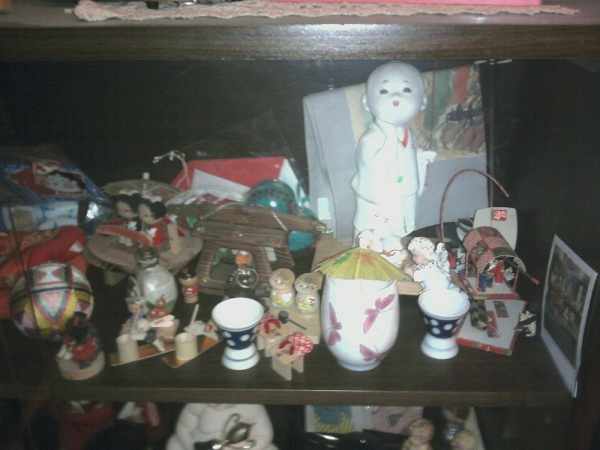 One thing she had always out in the open was a display case with many of her neat Japanese items in it that she displayed with pride. When we were cleaning out her house my husband took a picture of the display because we couldn't bring it to our house full, the things inside are delicate and would need to be removed. 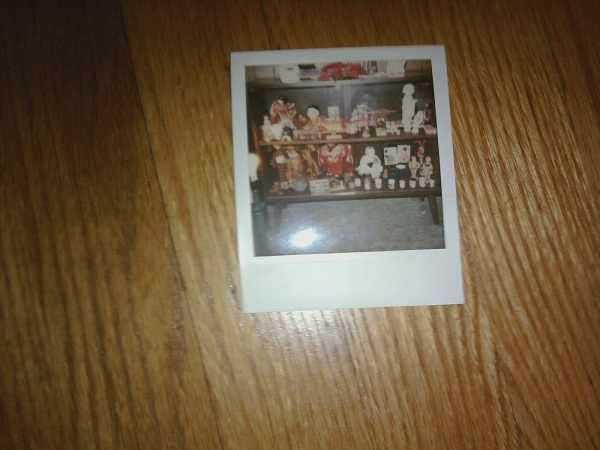 So he took the picture so then we could empty the case, move it to our house and then use the picture to put things back the way my mom had them. 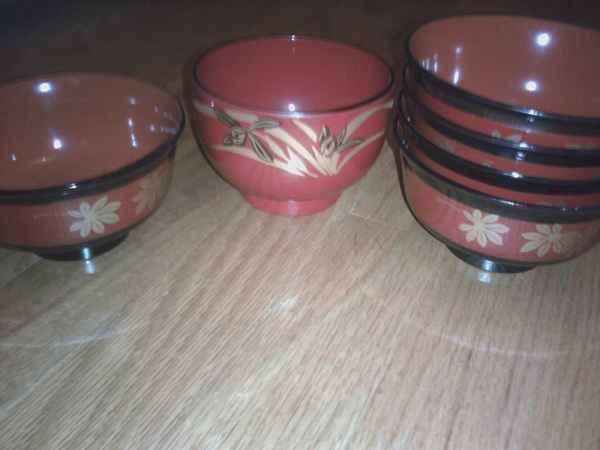 Going through her cupboards I found, a few Tea Sets, Japanese Tea Pots, Japanese Soup Bowls, Japanese Rice Bowls. We also found a box filled with original Japanese Kimonos, Men's, women's and childrens. 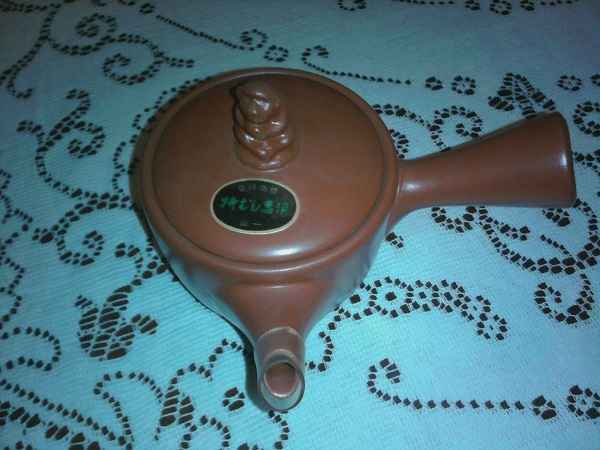 I think one was mine that my grandmother sent me from Japan. There were Japanese decorations, Japanese Pictures and much more. We brought over as much as we could fit into our house. Here are some of the things we have here now, and I just wanted to post the pictures here to share them with you. Those are some of the many items we brought over from my mom's house. I wish I had the time to take more pictures and sort through things, but I'm afraid to touch a lot of it, it's so delicate, and since they not collectibles for me, but family heirlooms, I hope to someday pass them all down to my kids and don't want to damage them. 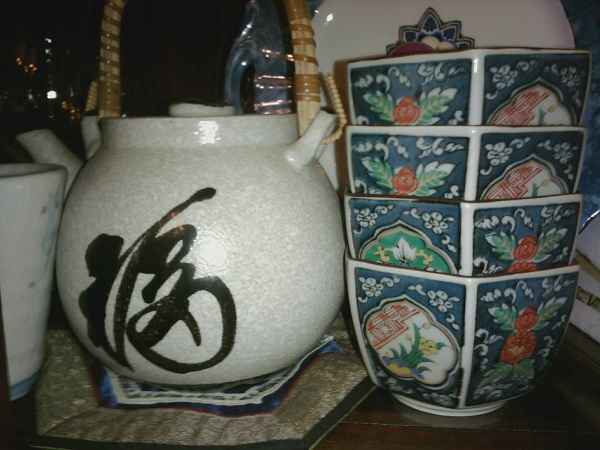 I hope you enjoy looking at the different pictures on this post, my mom was so proud of her Japanese Heritage and all the items she took such good care of that I wanted to share a small part of them with you today.